If decadent cuisine (think truffle mashed potatoes), local wine varietals (like orange wine) and spectacular scenery sound like your ideal components for a perfect vacation, then you’re going to love Istria, Croatia. 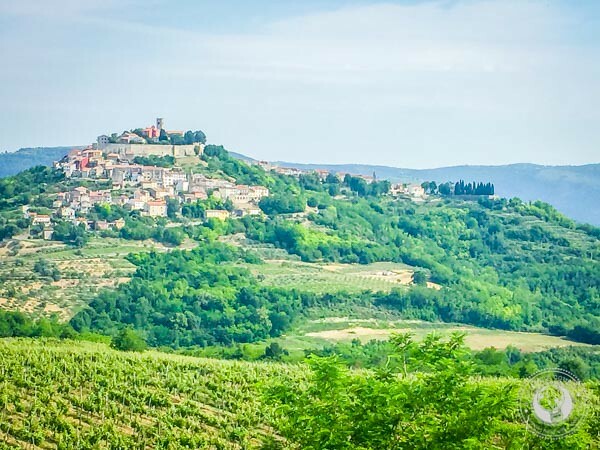 Often referred to as “The New Tuscany,” I prefer to think of Istria as a similar but also unique region that’s distinctly Croatian—and an absolute must-visit while in the country. 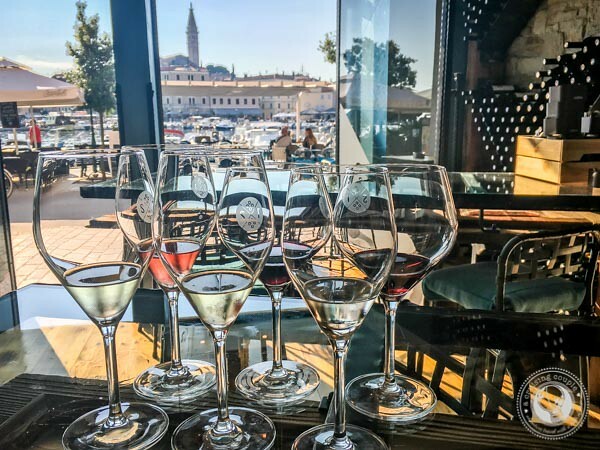 While Croatia might not be the first destination to come to mind for wine tasting, it definitely deserves more credit than it receives. Wine has long been an integral part of the culture in the Croatian countryside, in large part due to the demanding labor that was required to survive. It’s said that life without a good wine after a hard day’s work was inconceivable. Now, Croatian wines are exported throughout Europe, and the quality only continues to improve. The crown-jewel of Istria is Rovinj. Located on the coast, the city is a picture-perfect spot to base your explorations of the countryside. With boutiques, art shops and wine bars dotting the winding alleys and coastline, it’s easy to spend all your time in the quaint city. But there are more rewards to be had in the hilltop villages in the surrounding countryside—especially when it comes to food and wine. 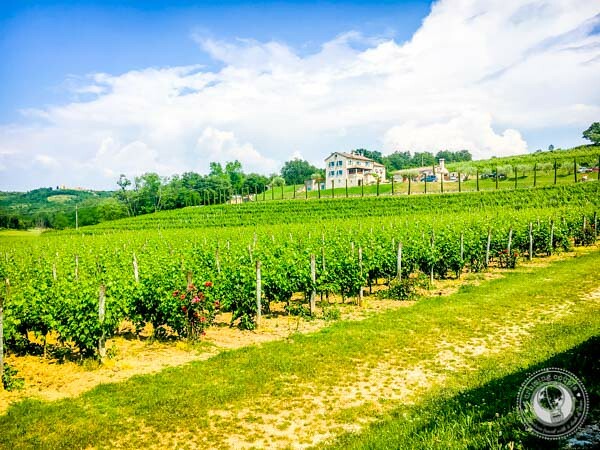 Here’s an introduction to wine tasting in Istria. 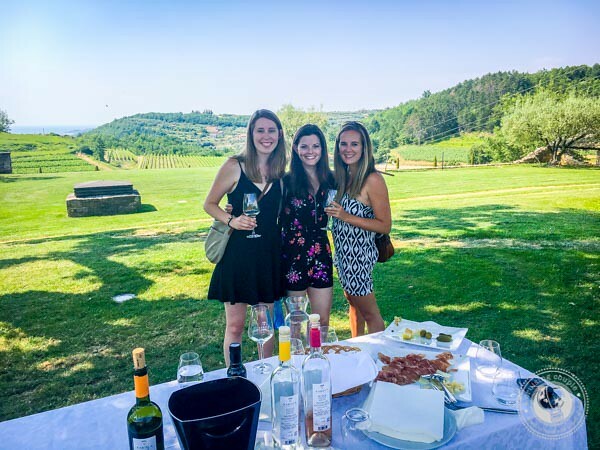 Be sure to read to the end, where we’ve included our top tips for getting around the region and tasting our favorite wine accompaniment—truffles. Malvazija: One of the oldest grapes in Croatia, Malvazija dates back to the ancient Greeks. This is the most common white wine in Istria and tends to be fruity. 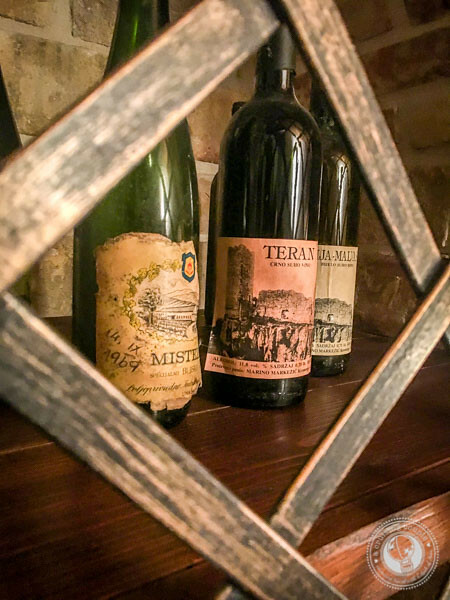 Teran: Teran is Croatia’s most popular red wine. The color is typically a deep ruby red and it is often blended with other red grapes. If you only visit one winery in Rovinj, make it Cossetto. While not as well-known as some of the other wineries on this list, Cossetto is home to our favorite Croatian wines, service and ambiance. We first discovered Cossetto on the recommendation of our waiter at Piassa Granda, a small wine bar in Rovinj (which we also highly recommend.) Of all the wines we sampled that night, Cossetto stuck out to such a degree that we decided to rock up to the winery the next day without a reservation, in the hopes that they would at least let us purchase a few bottles of their signature Mozaik wine to take home. Though Cossetto had another wine tasting for a private group about to begin, they welcomed us with open arms, large smiles, and delicious plates of home-cured meats and cheese. Cossetto is a family-run winery dating back three generations. Melinda Cossetto was our lovely host, guiding us through the sampling with generous pours. Our favorite, Mozaik, is a blend of Cabernet Sauvignon, Istrian Borgonja and Merlot. It’s light but extremely aromatic with an almost velvety texture. A huge thank you to Melinda for inviting us into her home for espresso and chocolate after our tasting. We so enjoyed getting to spend time with you and your puppy! Have you heard of orange wine? Apparently, it’s one of the trendiest drinks to order at stylish wine bars around the US, with the NY Post even calling it “the new rose.” The wine gets its name from its bright orange color, but it is actually white wine fermented with the grape skins and seeds intact. While orange wines originate in Georgia, they are now commonly produced in Slovenia, Croatia and Italy. 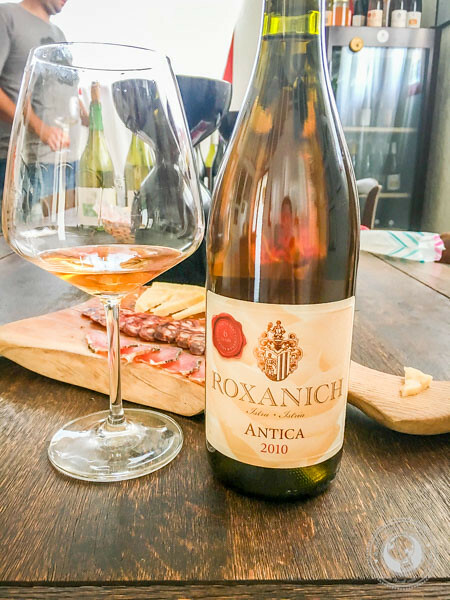 We had trouble finding orange wines at bars and restaurants throughout Croatia, so when we heard this was Roxanich’s specialty, we jumped at the chance to reserve a visit. Roxanich is well-known for their natural wines; they only cultivate grapes using traditional methods, minimizing mechanical intervention in the winery. We sat down for a private tasting of 12 of their wines, including white, red, orange and sparkling. The orange wines were the most interesting, with intense flavors of honey, apricot and caramel, but also a sour aftertaste. Our host said orange wines get better the longer you age them. I bought a bottle I would love to keep for a few years, but Costa Rica’s humidity will likely get to it before that. 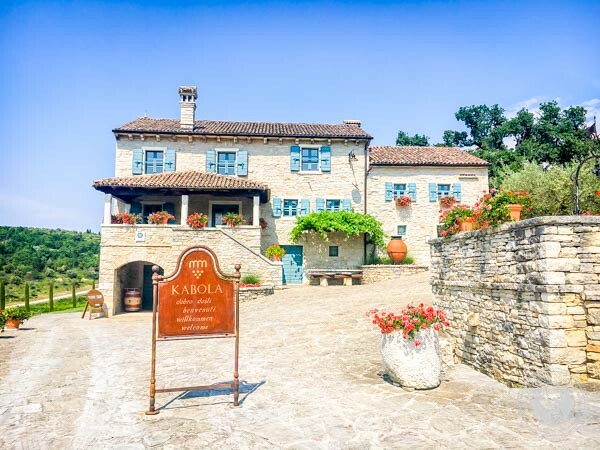 If you want to taste wine in a charming stone farmhouse surrounded by rolling hills and vineyards, then Kabola is the perfect pick. This family-run vineyard dates back to 1891, and today is one of Istria’s most well-known wineries. We were very late for our wine tasting due to the unplanned (but necessary) visit to Cossetto, yet the friendly staff still found time for us to do a tour of the grounds and tasting in the garden. One of Kabola’s most popular wines is their Amphora Malvazija, a wine fermented with the grape skins on in an amphora, or a clay pot. Kabola says the process and recipe date back thousands of years to the ancient Romans and Greeks. Finally, no visit to Istria is complete without a stop at Kozlovic. 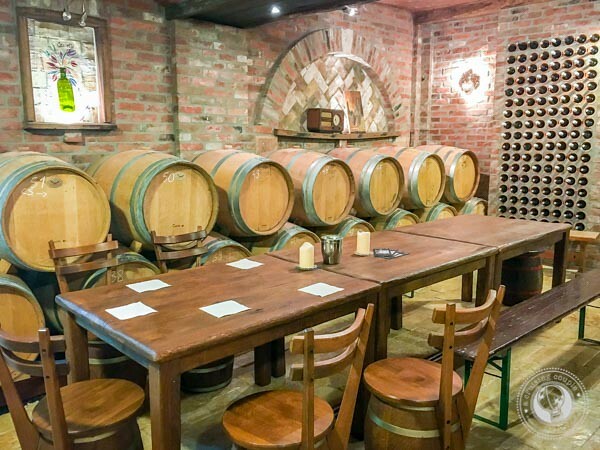 Another popular and well-known winery in Istria, Kozlovic dates back to 1904. The harvest is done exclusively by hand to produce top Malvazijas, Terans, Muscots, Brandy and EVOO. Named one of the greatest wine cellars in the world by Paolo Basso, Kozlovic is certainly the most striking winery on this list. They combine modern architecture with a gorgeous terrace and award-winning wines for a truly memorable experience. 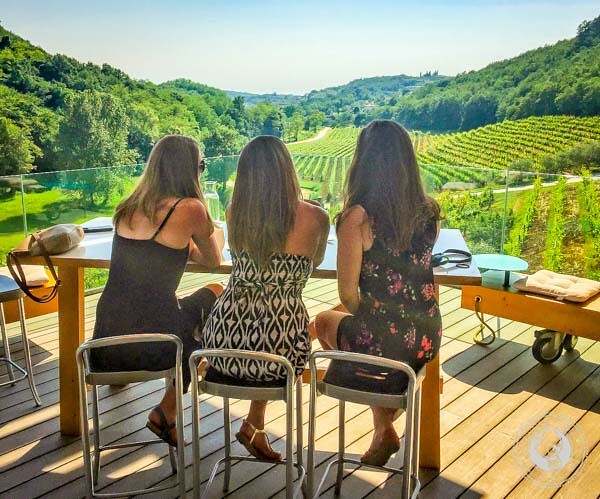 After three extensive wine tastings, we opted to forgo a tour of Kozlovic and savor a slightly smaller sampling on the terrace where we could enjoy the views and review the day. If you go, don’t miss the Santa Lucia Malvazija. Wine tasting in Istria is something that requires a bit of planning. 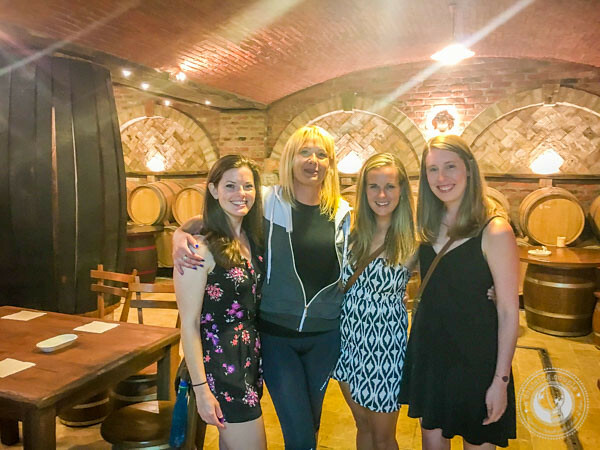 Though ultimately we had no problem showing up to Cossetto sans reservation (and then arriving late to Kozlovic and Kabola), we DO recommend making reservations at the wineries you would like to visit well in advance. As mentioned, we had our amazing rental car from Nova Rent A Car, but definitely wanted a driver so that we could all participate in the wine tasting experience. In the end, we bargained with a taxi driver in Rovinj who agreed to shuttle us around the entire day. Alternatively, there are plenty of small group wine tasting tours. Many include truffle tastings as well. They are a bit pricey though, hence why we decided to DIY it. No wine tasting around Istria is complete without at least one truffle meal. We indulged in a few. My favorite was in central Rovinj at Tipico Old Town. The truffle cheese and veal with truffle mashed potatoes were particularly memorable. 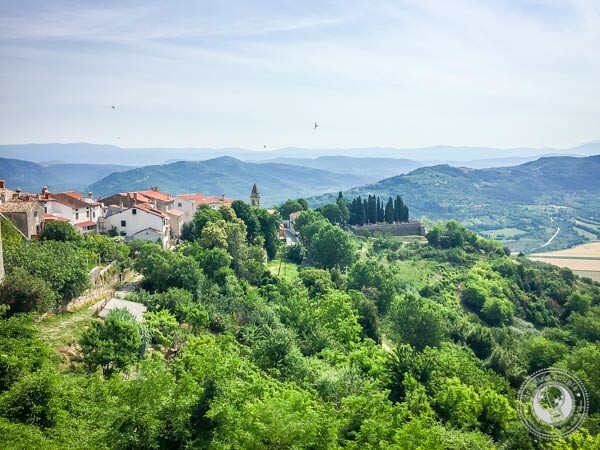 If you’ve got a car (which by now you know we recommend as the best way to experience Croatia), then take a side trip to Motovun. This ancient walled city is perched atop a hill and surrounding by country views. Motovun is as quaint as it gets. You won’t need long to walk around and hop into the various shops. Keep your eyes peeled for truffle brandy—it’s fantastic and a huge hit with everyone who tries it, especially when drizzled over ice cream! 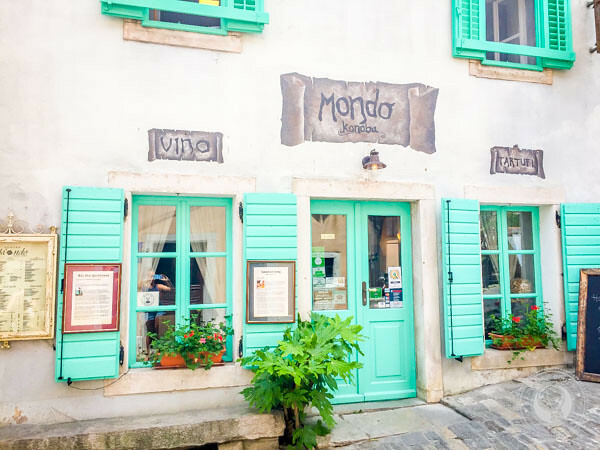 An extra reason to make the drive to Motovun is for a visit to Konoba Mondo. 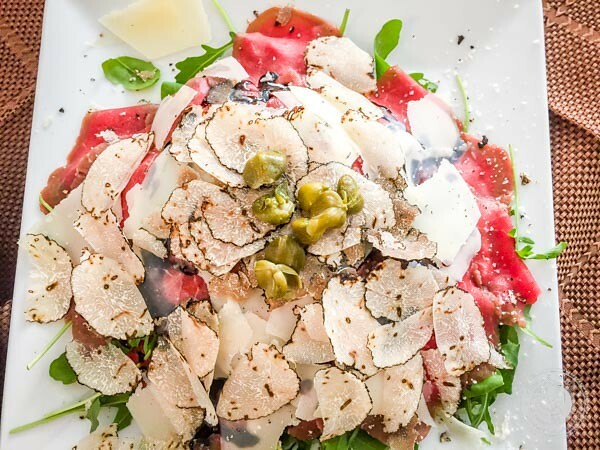 This restaurant specializes in all things truffle with the waiters coming around to shave copious amounts of black or white truffles atop the dishes. It’s also very affordable, especially for Croatia. Don’t miss the ravioli and risotto, both with black truffle. Personally, I preferred the truffle dishes at Old Town Tipico, but the staff and menu at Konoba Mondo are still first-class. We opted for an AirBnb right in the center of Old Town Rovinj. If you’re new to AirBnb, be sure to sign up using this link to receive up to $33 off your first stay! 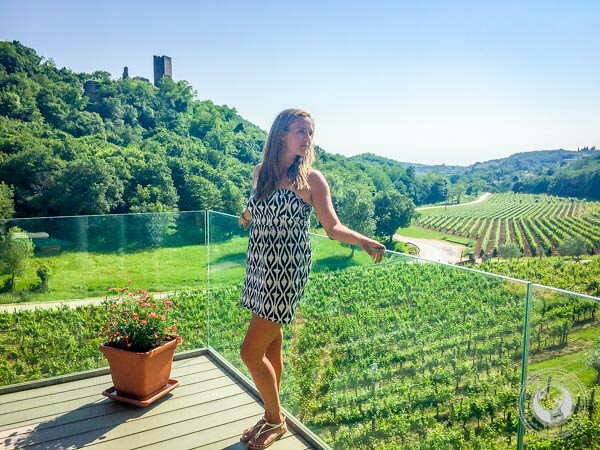 It’s no secret we love wine and food, and Istria certainly did not disappoint. On your next trip to Croatia, be sure to add a stop to this mesmerizing region in Croatia. 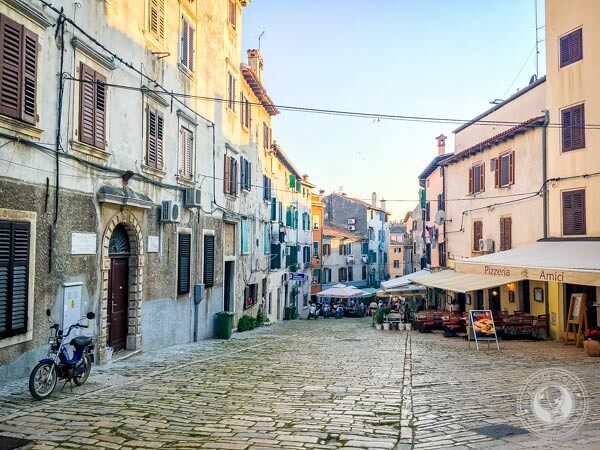 Have you been to Istria? What did you think?